No septic tank or treatment plant lasts forever. 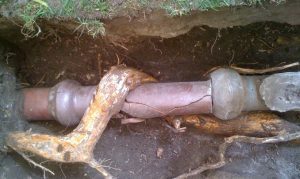 Tree roots and shifting ground can both cause damage to brickwork and pipework. So, it’s worth getting us to check your septic tank from time to time. 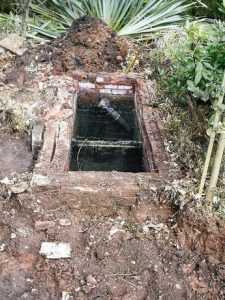 As well as septic tank cleaning, our team can also carry out a detailed inspection using CCTV to ensure soakaways, drains, electrics and brickwork are all in good order. If you have bought a property with an old septic tank, you should get it emptied as soon as possible. We can also inspect and advise on its condition. Growing tree roots are just one reason your septic tank or treatment plant may stop working. We can do septic tank cleaning, repair any damage, or install a completely new and more efficient system as necessary. If repairs are needed, we can fit any pumps, motors, blowers, lids, manhole covers or alarms that need replacing. Our engineers are trained and experienced and use only tried and tested brands we know won’t let you down. As these repairs may be covered by your house insurance, you should check your policy. We can provide a written report identifying those areas that need putting right, which you can give to your insurers. One way to avoid problems in future is to have your septic tank or treatment plant regularly serviced by one of our experienced engineers. Just call us on 01432 353888 for more information. Just bought a property with a septic tank? You should make septic tank cleaning a top priority if you’ve just bought a property that isn’t connected to a sewer, as you can never be sure when this was last done. If the property is old or has been neglected, you may need to replace your septic tank or treatment plant altogether. If you do, we can suggest the best solution and do all the necessary groundworks and installation. Your septic tank must be emptied by a registered waste carrier like Aquassist, that way you can be sure the waste is being properly disposed of and treated. For septic tank emptying or to get your treatment plant checked, just call us on 01432 353888, or email book@aquassist.co.uk to arrange a suitable time. Copyright © 2019 Call 01432 353888. Powered by WordPress. Theme: Spacious by ThemeGrill.